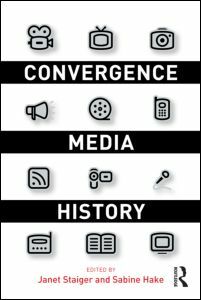 “Convergence Media History explores the ways that digital convergence has radically changed the field of media history. Writing media history is no longer a matter of charting the historical development of an individual medium such as film or television. Instead, now that various media from blockbuster films to everyday computer use intersect regularly via convergence, scholars must find new ways to write media history across multiple media formats.”Click here for more.